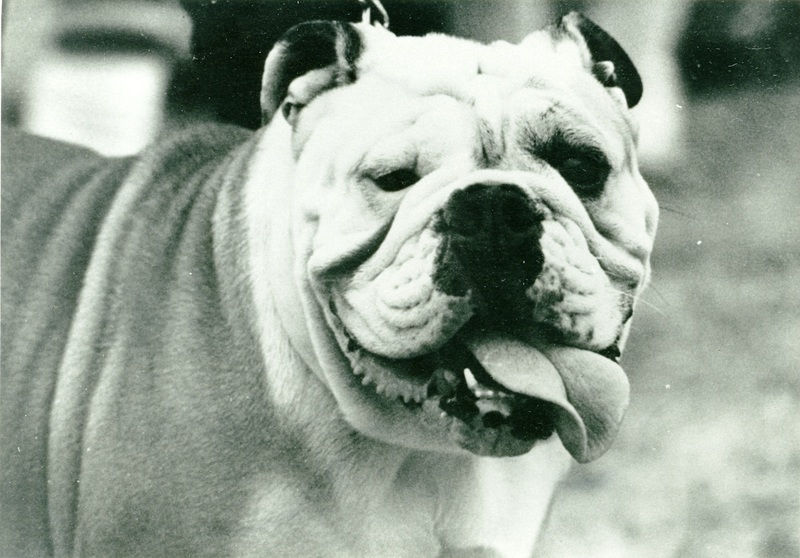 According to President Emeritus Walter H Ryle, the term “bulldog” was first used in connection with the school’s football team in 1909 when Coach O.C. Bell called his players bulldogs – it wasn’t an official term, just a description. In 1915, after several losing seasons – and no wins at all in 1914 – a committee, including student Walter Ryle, was formed to see what could be done about reviving school spirit. The student body had stuck with the team, according to team member and later coach H.L. “Curly” McWilliams. “That 1914 team … did not quit. 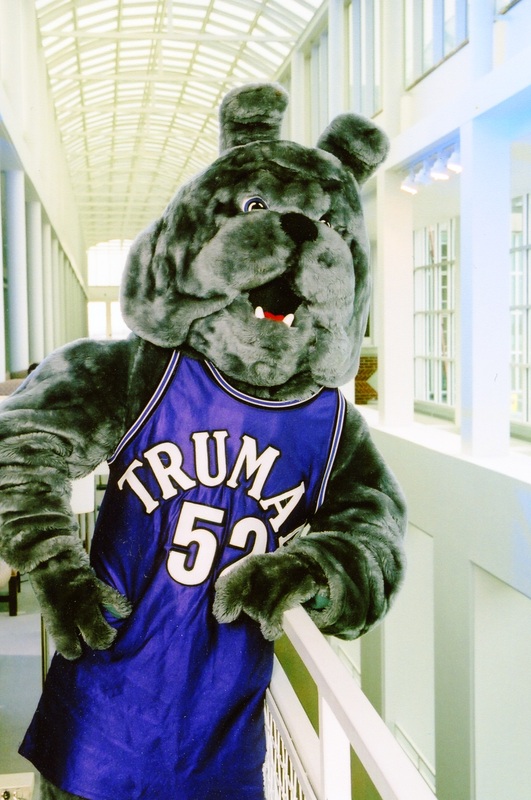 They instilled a spirit of enthusiasm in the student body …” who gave them a hearty send off to every game played away from home and were at the train to greet them when they returned. The students had become discouraged, though, and the committee decided that some type of emblem to inspire enthusiasm was needed. 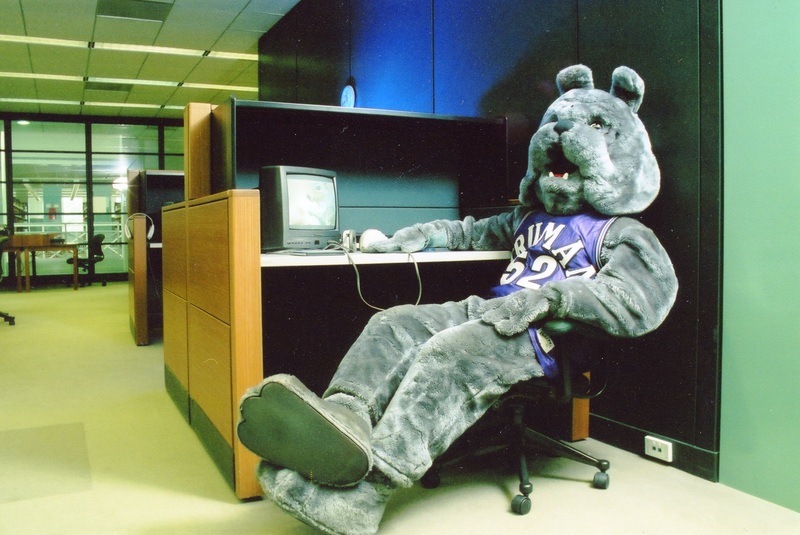 They suggested that the bulldog be adopted as the team mascot “because of his tenacity and ability to hold on and fight desperately until the end. 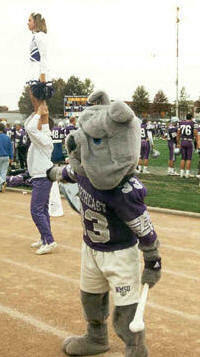 A bulldog does not quit...” The exact words that McWilliams later used to describe that 1914 team. 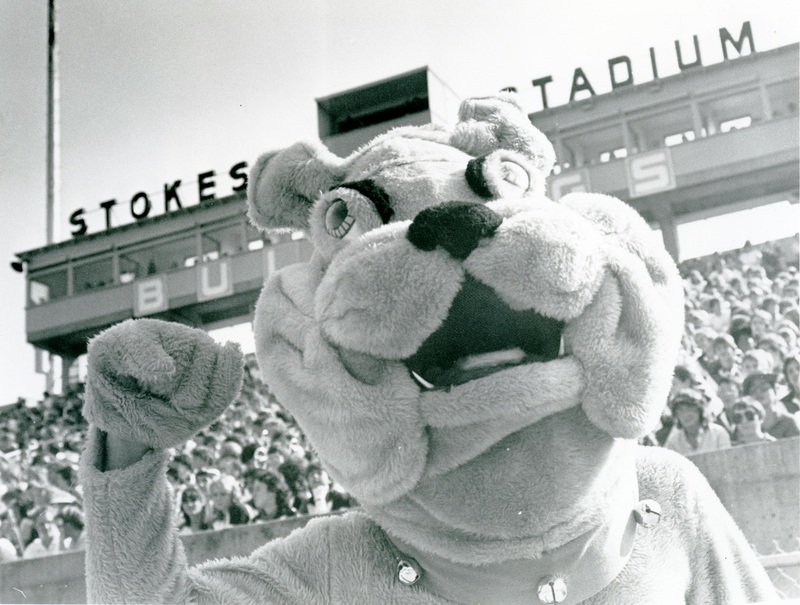 The next spring, the baseball team played under the Bulldog name for the first time and the football team began using it a year later.